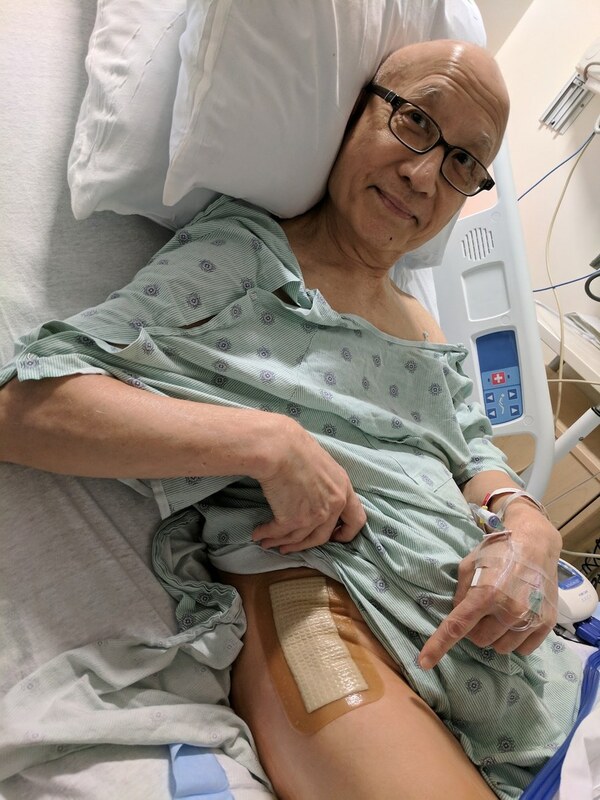 Ten years ago, Finis Jhung, the legendary ballet master extraordinaire, who danced soloist and principal roles with the San Francisco, Joffrey and Harkness Ballet companies in the 1960s, began experiencing excruciating pain and instability in his right leg. Severe arthritis, diagnosed his doctor. The risk and recovery time of hip replacement convinced Jhung to seek alternative solutions—cortisone treatments, chiropractic therapy, acupuncture. Nothing helped. A weekly deep-tissue massage, to relax his abductors and inner-thigh muscles, and his own self-designed stretching regimen worked for a while. And then it didn't. Teaching five ballet classes a week demanded increased recovery time, while his ability to demonstrate simple ballet steps was decreasing. 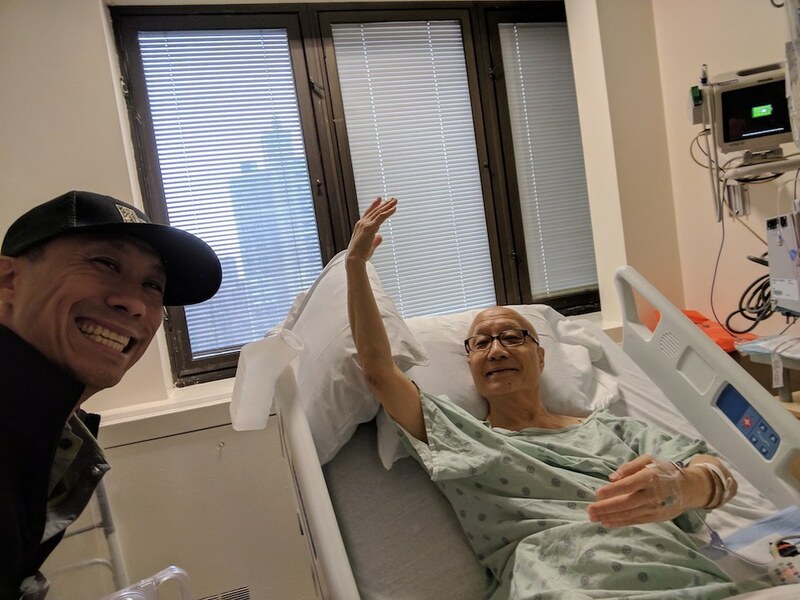 Last summer, soon after Jhung turned 80, he decided to reconsider surgery. Jhung's internist referred him to Dr. Roy Davidovitch, director of the Hip Center at New York University Langone Medical Center. 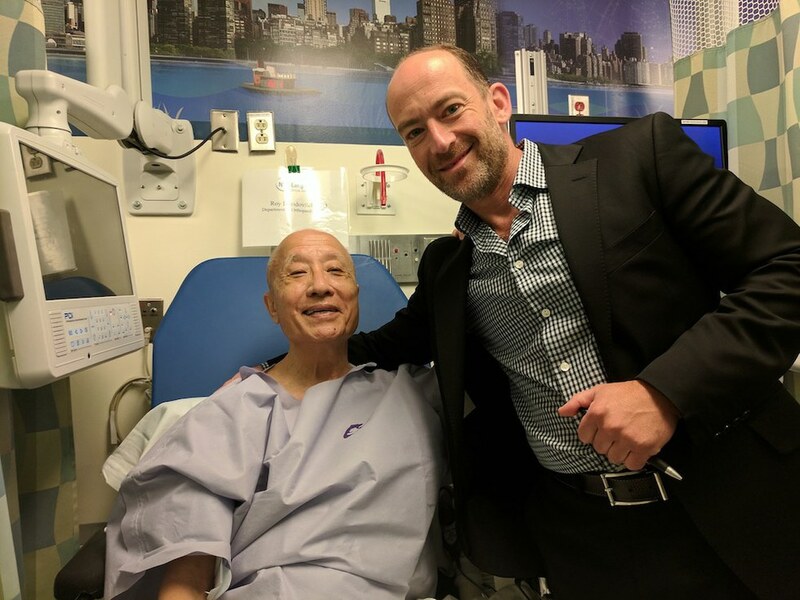 He's the first surgeon in New York City to perform the minimally invasive (MIS) Anterior Approach Total Hip Replacement. Unlike the traditional posterior (back) or lateral (side), the anterior (front) approach allows access to the hip joint without cutting through major muscles or tendons, enabling a quicker return to normal activity. Jhung could expect to return home the day of the surgery and begin teaching again in four to six weeks. He was sold! 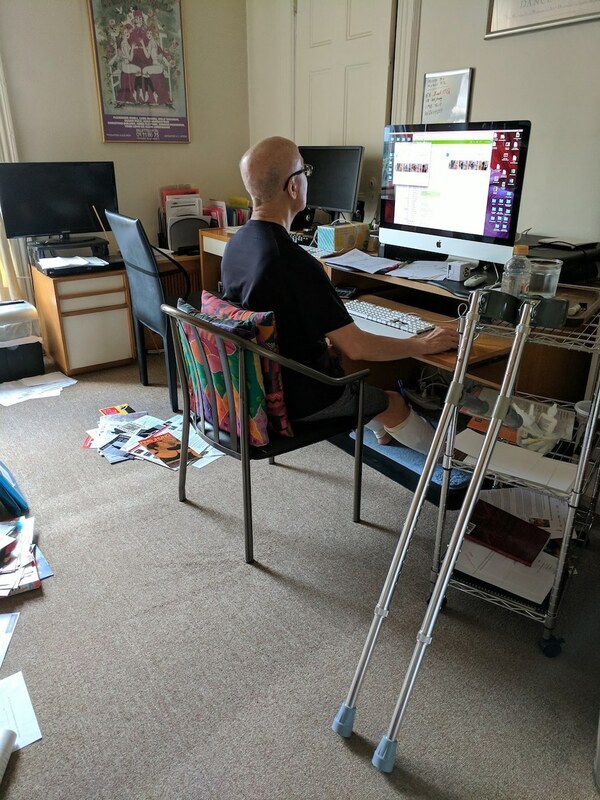 Three weeks after Jhung's hip replacement surgery on September 6, we caught up over e-mail. Giannella M. Garrett: Congratulations! How are you feeling? Finish Jhung: Last night was a breakthrough night. The swelling has almost completely disappeared. Only slight discoloration in the right foot and inner ankle. I could even sleep on my side in two-hour increments. I'm feeling very good this morning. Sitting at the computer is much more comfortable because my knee bends. So, 19 days after surgery, almost no swelling. No pain. No discomfort. I can walk unaided with a cane in the house. I'm going to start outpatient physical therapy today. GG: What has been the most difficult or challenging aspect of the surgery? What (if anything) has been easier than you expected? FJ: My biggest challenge has been getting a good night's sleep. The first two weeks I slept with calf pumps, which constantly pressed and released in order to prevent blood clots, and I had long cables stemming from the calf sleeves to the powering device. This made getting in and out of beds and chairs a very complicated process. I would often get up from sitting, forget I was connected to the device-wire connected to the outlet and suddenly be jerked back. What's easier than expected: walking without pain or limping. This past weekend I left the apartment for the first time and ate at a neighborhood restaurant, and only because it is good and walkable from my apartment. GG: When are you planning to begin teaching again? FJ: I return to teaching my full-time schedule on Sunday, October 1. I am not allowed to turn out or stand a lot, so my Team Finis demonstrators, Mayumi Omagari and Ari Miyagawa, will assist me these first few weeks. I must spend most of the class sitting with my right foot elevated. But I'll be perfectly capable of demonstrating with my hands and pointing out details. Hmm. I probably could use a pointing stick! FJ: My mission in life as a Buddhist is to help others. 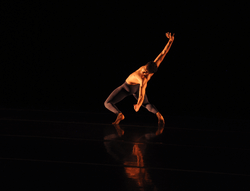 When I see people in trouble in ballet class, I want to help them solve their technical and artistic problems. I can't see any point in letting students continue working incorrectly, when they would look so much better if they followed my instructions. What else is there to do in life but help others? And, solving these problems in class leads me to create instructional videos, which can be used by people all over the world. I try to instill in my students what we call in Buddhism "a seeking spirit." To learn the truth so that you can apply it and better yourself. You know, ballet is the "bitchy" art, where it is common among dancers to wish others the worst so they lag behind. And this kind of attitude shows onstage—people who give, and those who don't. People who are generous and have ample room in their lives to help others. We all need to be giving in the sense of helping when we can. GG: Your childhood dream was simply to become a ballet dancer. Could you have imagined who you are today? What would your child-self say to your present-self? FJ: No, I could never have imagined when I was 9 years old starting ballet in Honolulu that I would, at age 80, be looking back at all the things I've done and see that indeed, all my childhood dreams have been fulfilled: dancing in New York and Hollywood; performing in distant lands like Egypt, Russia, India, Afghanistan, Iran; performing classical roles in white tights; becoming a prominent teacher in New York; teaching thousands all over the world with my videos; and most of all being a father to my wonderful son Jason. In a sense, I had a guiding star leading the way. I was never unemployed, and setbacks were momentary instead of permanent—especially after becoming a Buddhist—and I was able to build up my life force and make my life large enough to encompass all the problems that came to me. As long as I held on to my dream, each step I took brought me closer to fulfillment. This is what I was taught as a child: Always do your best. And because I did my best, one thing led to another. I've been very fortunate, beyond my wildest dreams. GG: You have said your biggest dream now is to become a 100-year-old ballet teacher. What are your plans? What are your dreams? How might the two be different? GG: In addition to the freedom from pain and the ease of movement that the hip replacement will give you, how do you hope your life will change as a result of your surgery? FJ: For one thing, I won't have to constantly be applying various massage tools to relieve hip-muscle tension. That will give me tons of free time. I will continue seeing my massage therapist once a week for 60 minutes because that is a very special treat I greatly deserve. And, I'm looking forward to being able to execute pirouettes outside and inside, relevé in arabesque and waltz across the floor in class. No jumps for probably two years, after which, ANYTHING can happen!